Join us on a guided tour or create your own bespoke private event at the home of one of the world’s finest French vermouths. Visitors are guided through the traditional craft of Noilly Prat. Advance booking recommended (minimum 2 people). The tasting is for adults over 18 years of age. Discover Maison Noilly Prat’s ancestral expertise unchanged since 1813. 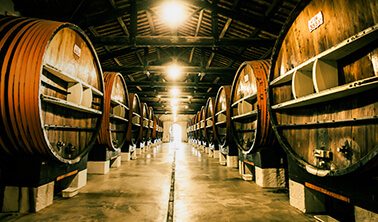 This historical tour is guided and includes a tasting of the whole vermouth collection. Tours in English at 10:30 and 15:00 everyday. Tours in German at 16:00 from Thursday to Sunday. 9.50€ per Adult. Stop off in time to explore some of the unrevealed secrets of Noilly Prat’s time honoured production. 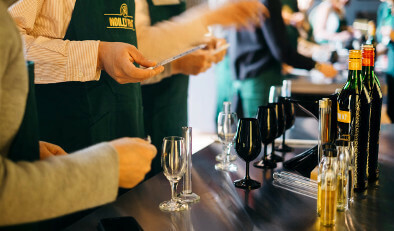 A moment of sensorial experiences following in the footsteps of the cellar master, with extra wine tasting in the VIP bar. 17€ per adult. 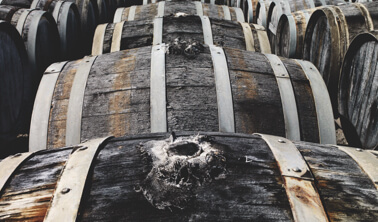 Discover the oenology world and create your own vermouth. As our Cellar Master, stimulate your sensorial memory and mix different wines with the herbs and spices of your choice! From 35 euros. 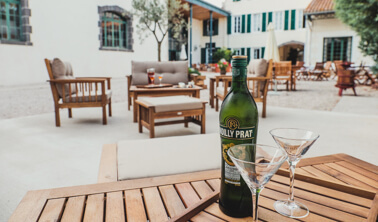 Enjoy the subtle harmony of Noilly Prat and Gastronomy in an exclusive place. Learn how to make the French Perfect Serve. Explore your 5 senses! From 30 euros. La Maison Noilly Prat opens its private bar specifically for you for an amazing cocktail master class where you will learn how to realize your own dry martini. Shaker or Mixing Glass? 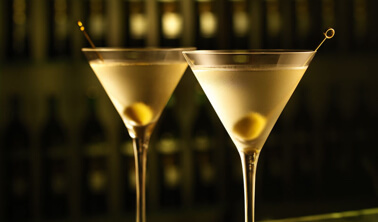 Aimed at novices as well as experts ; this workshop reveals the art of mixology! From 20 euros. Exclusive products can be purchased following each tour, including handcrafted chocolates and Noilly Prat Original Dry, Noilly Prat Extra Dry, Noilly Prat Rouge and Noilly Prat Ambré. Create your own cocktail can be experimented too in our vermouth bar!